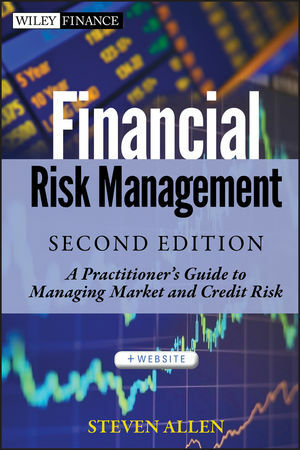 Focusing on the management of those risks that can be successfully quantified, the Second Edition of Financial Risk Management + Websiteis the definitive source for managing market and credit risk. STEVEN ALLEN is a risk management consultant, specializing in risk measurement and valuation with a particular emphasis on illiquid and hard-to-value assets. Until his retirement in 2004, he was Managing Director in charge of risk methodology at JPMorgan Chase, where he was responsible for model validation, risk capital allocation, and the development of new measures of valuation, reserves, and risk for both market and credit risk. Previously, he was in charge of market risk for derivative products at Chase. He has been a key architect of Chase's value-at-risk and stress testing systems. Prior to his work in risk management, Allen was the head of analysis and model building for all Chase trading activities for over ten years. Since 1998, Allen has been associated with the Mathematics in Finance Master's Program at New York University's Courant Institute of Mathematical Sciences. In this program, he has served as Clinical Associate Professor and Deputy Director and has created and taught courses in risk management, derivatives mathematics, and interest rate and credit models. He was a member of the board of directors of the International Association of Financial Engineers and continues to serve as co-chair of their Education Committee.